Set of 5 colors (yellow, red, green, blue, and black) that represent the entire PRO line. Comes with stand. The Cando PRO is meant for those with larger hands, as well as those using the unit for sports medicine or athletic training. The PRO has a larger body than the its sister brands (Digi-Flex, VariGrip, and Via) as well as heavier tensions among the 5 color-coded resistances. The PRO offers soft finger pads and a contoured palm rest for comfort. Comes with plastic display stand. You found Cando&reg; Pro Hand Exercisers - Set of 5 with Stand in category Body Building/Fitness and subcategory Exercise/Fitness. If you need to buy more Exercise/Fitness than you are on the righ place. 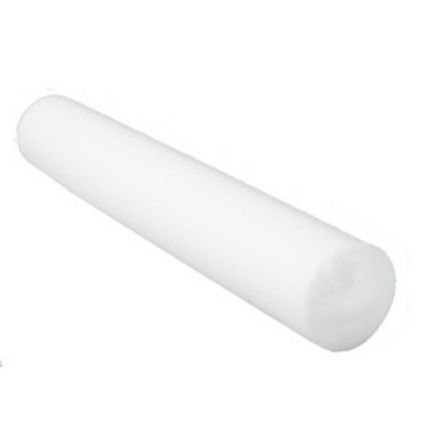 Cando No-Latex Band is specially formulated to mimic the stretch characteristics of latex band. No-Latex Cando band is easily identifiable by the checkered pattern on its packaging. Cando band is used for rehabilitation, conditioning and training. 5-inch wide No-Latex Formulation is the most versatile Cando band because it can be used by people with a latex sensitivity as well as everyone else. 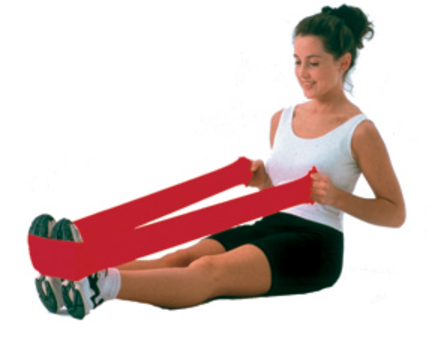 All exercise bands are lightweight, take up minimal room and are highly portable. Like low-powder band, there are 8 progressive levels. Cando is licensed to use the Thera-Band color sequence, so resistance level is easily identified. Outfit an entire clinic with our 5-piece sets: yellow, red, green, blue and black. All Cando exercise bands are CE certified. 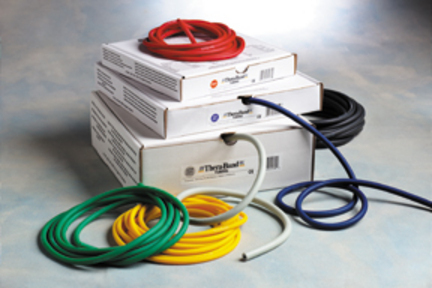 Thera-Band&REG; tubing is made of natural rubber. Resistance levels, obtained by varying the thickness of the tubing, are color-coded in proprietary Thera-Band&REG; colors increasing in difficulty through seven levels from tan through silver. The color-coding system provides positive reinforcement and feedback for gauging results. 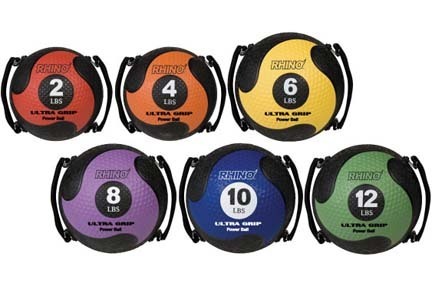 This ultra textured, enhanced grip medicine ball gives you a secure one-handed or 2-handed grip. Dual hand grips are adjustable to any hand size. Simply remove the straps for use as a traditional full-bounce medicine ball. 6 lbs. 9".